Showcase your passion for the Force with this official replica of Yoda's lightsaber from Star Wars: Attack of the Clones. 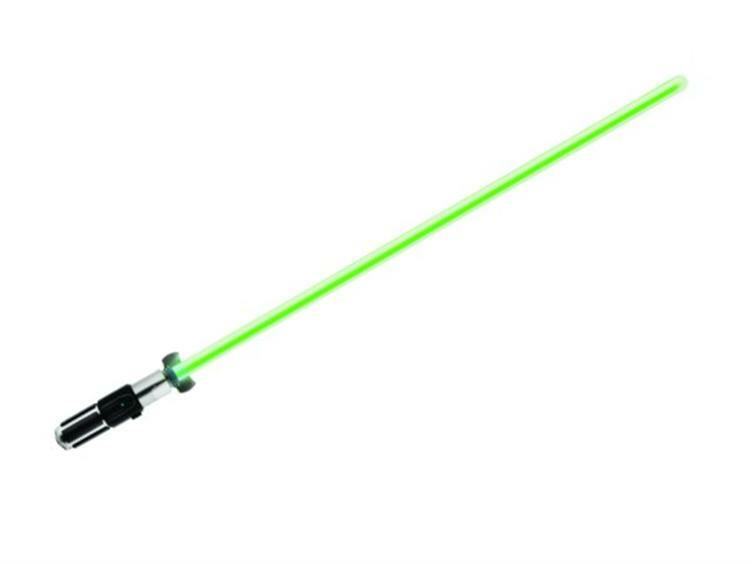 Ignite the glowing, bright green blade with realistic power-up and power-down light effects and four authentic lightsaber sound effects that have been digitally recorded from the movie -- including power-up, idle hum, clash and power-down. A durable metal hilt looks and feels like a real lightsaber, along with a sturdy, permanently attached blade. When not in your grasp, proudly show off your galactic weapon in the specially designed base.Requires 3 AA Batteries (not included).